Manufacturer of a wide range of products which include diesel storage tank. As an eminent enterprise, we offer an exclusive range of Diesel Storage Tank. These storage tanks are extensively used to store petrol and diesel for various industrial and commercial purposes. Offered storage tanks are designed & developed by using topmost quality raw materials as per the international industry standards. Also, customers can avail the offered storage tanks from us at nominal prices within a committed time frame. 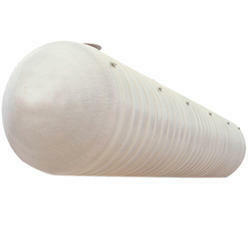 Looking for Diesel Storage Tank ?